Some of the MorPeff Stags team which is playing a charity match to raise funds for the oncology unit at Wansbeck General Hospital. A charity rugby match in Morpeth is aiming to score a hit to help a hospital unit. 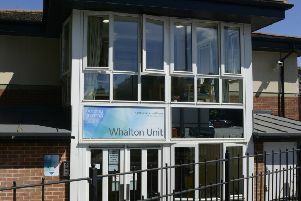 Organisers are looking to raise funds to improve the experiences of patients undergoing treatment for cancer at Wansbeck General Hospital. The match – MorPeff Stags against Jeffington – is on Saturday, at Morpeth Rugby Club, with kick-off at 2pm. It has been organised by Andrew Norris in memory of his dad, Jeff Norris, to raise funds for the oncology day unit. Jeff was diagnosed with bowl cancer in 2013 and spent two years undergoing treatment before losing his battle, aged 60, last summer. The match is part of the Morpeth Beer Festival – tickets are £10.